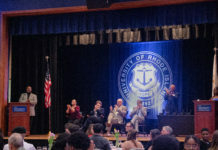 The University of Rhode Island was one of at least a dozen universities nation-wide to receive racist and anti-Semitic fliers remotely sent to their public printers last Thursday. Director of Public Safety Stephen Baker said that the fliers were sent to all public access printers in the library on the Kingston campus and in other printers across the bay campus. The fliers were covered with swastikas, hate speech and promoted a white supremacy website. In an interview on Monday, Auernheimer said that “he sent the fliers to every publicly accessible printer in North America” and “did not specifically target college campuses,” according to the Times. In total, there were five flyers found across URI printers. Baker said that the hacker has not broken any criminal laws and that there is still an ongoing national investigation. “The incident is outside of our jurisdiction,” Baker said. Once it was determined that the fliers were not printed by a URI student. He thinks that while there are no criminal charges against the hacker, there is a possibility for a civil suit. 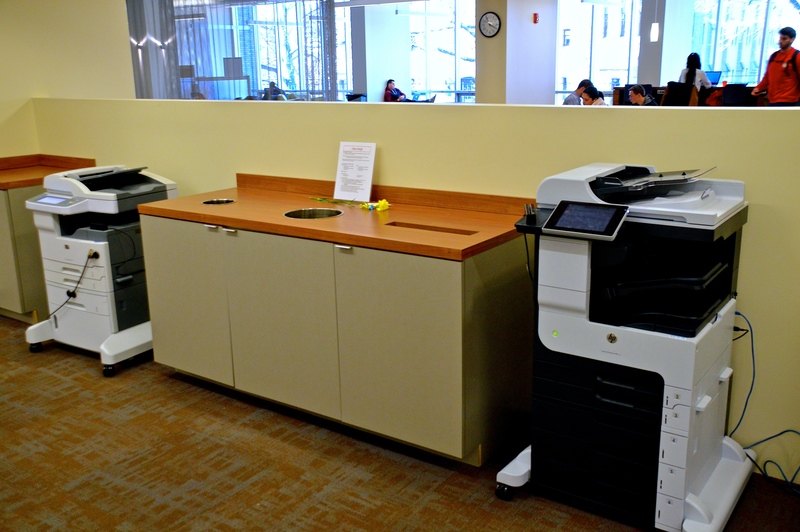 Baker said that the university has to “take a hard look at the maintenance” of public access printers, which were originally intended to be used by URI students, faculty and staff. He added that URI should “limit access to printers to university personnel,” but that URI had the right response to students. The statement also addressed the political climate both in the country and worldwide that can foster this kind of attack. Amy Olson, executive director of URI Hillel, said in an email that she was “repulsed by the flier and its disgusting message.” However, she was “heartened” by the university’s response, and would like to remind students that despite these hateful messages, Hillel will commemorate Holocaust Remembrance Week at URI. The Department of Public Safety asks students and community members who received a flier or have any information to contact their office at 401-874-2121. For more information about Holocaust Remembrance Week, a full list of events can be found on the Hillel website at urihillel.org.